Susan and Martin’s day was filled with love. They were so loving to each other and held one another so close throughout their entire wedding day. 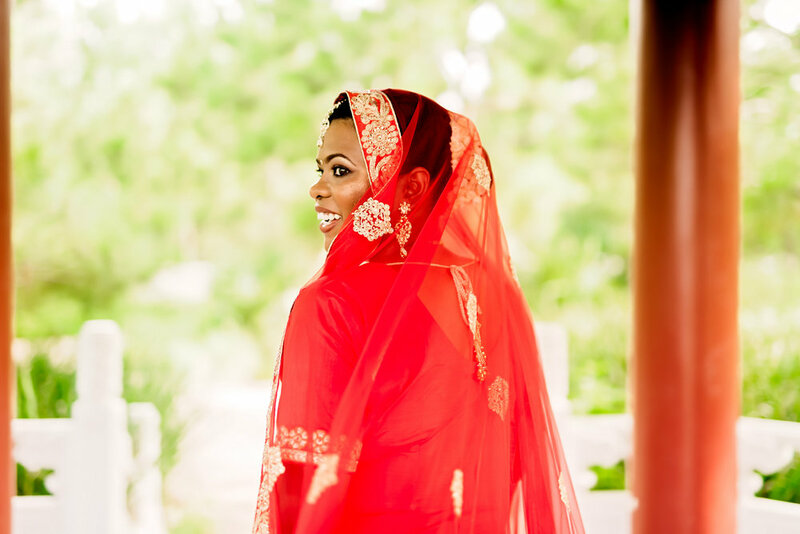 Susan’s red ensemble brought color to their wedding design and made her even more stunning and magical. 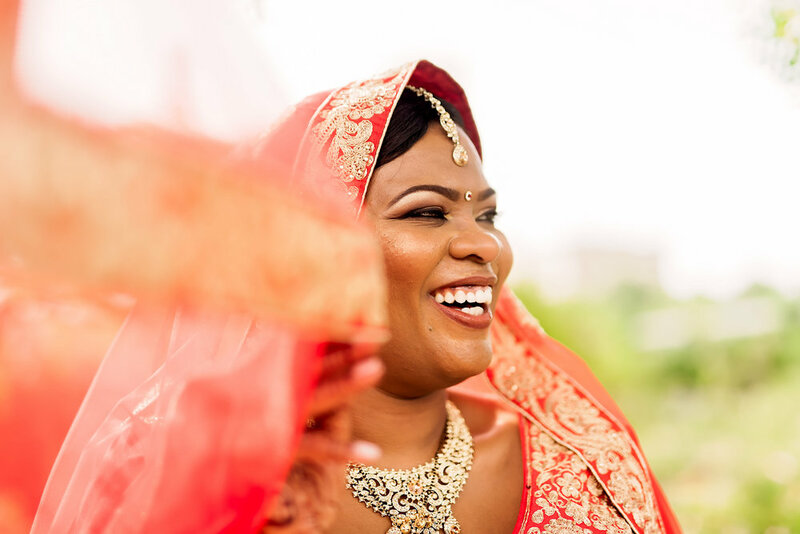 Capturing the newlywed’s special moments was so inspiring for us and we are so glad that they chose us to have a special part in their wedding day. 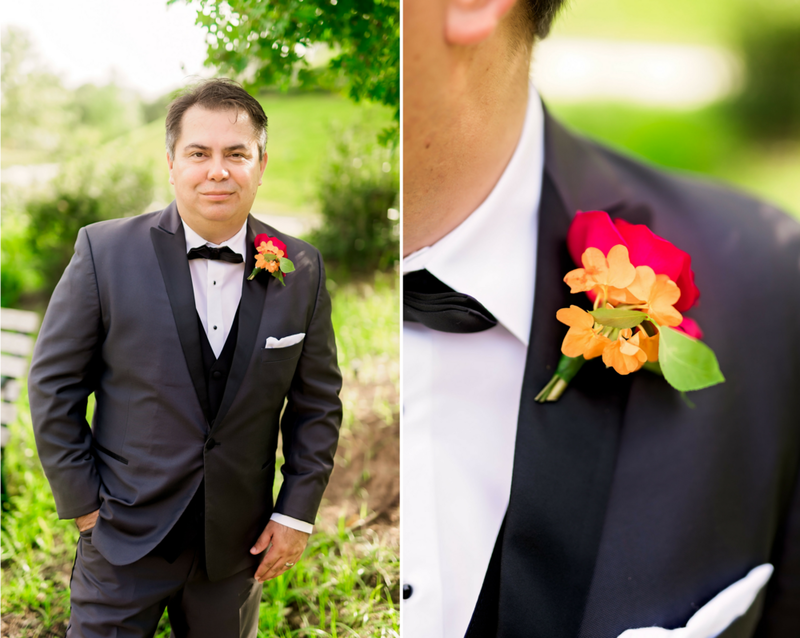 The couple incorporated red and orange fresh flowers into their design scheme and Martin wore them as a boutonniere. 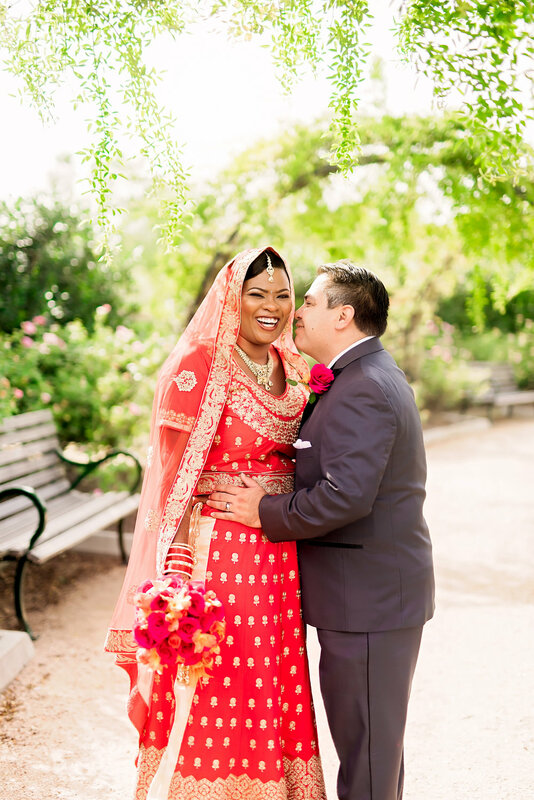 He looked dapper in his black and white tuxedo which accented Susan’s red bridal outfit effortlessly. 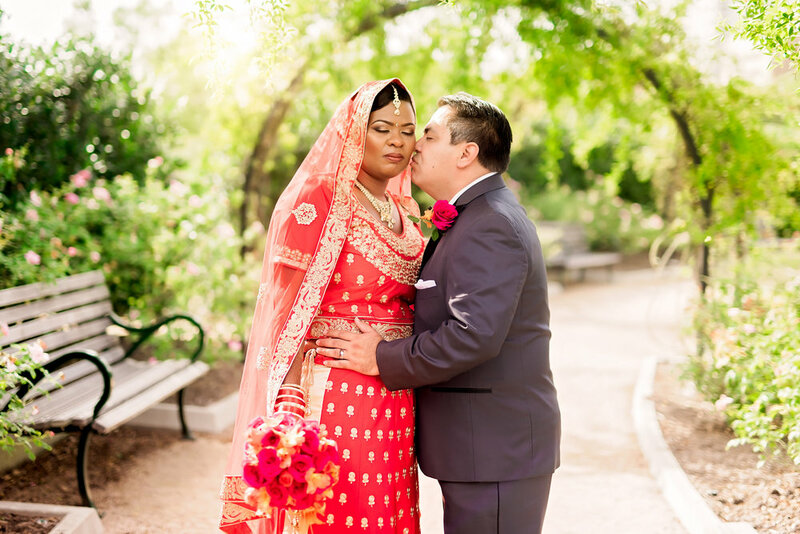 The couple shared kisses throughout their wedding photo shoot and we loved capturing all of their special small moments.  Their wedding photos truly turned out stunning. 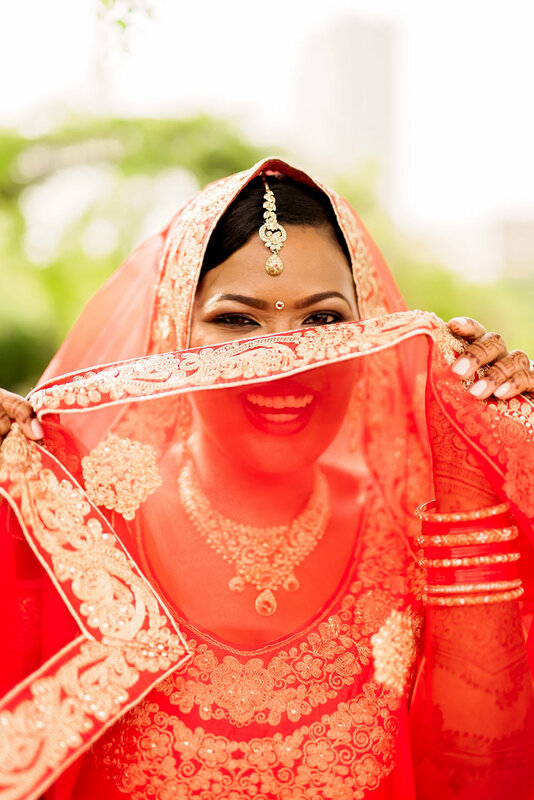 Susan’s small details of henna and jewels made her look magical and bridal. 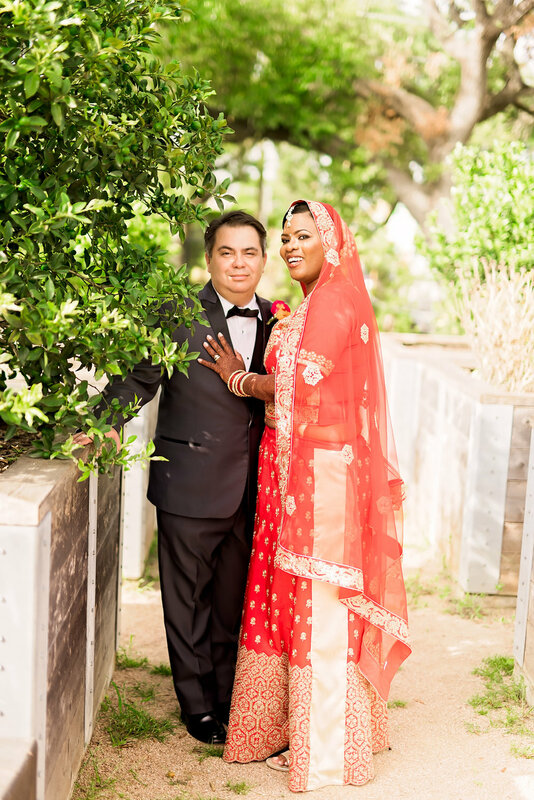 The couple posed for photos while they were surrounded by nature. The greenery and color from trees and fresh flowers that were around them added to the beauty of their love, and of their wedding day. Susan held a bridal bouquet that was filled with red and orange mixed florals. 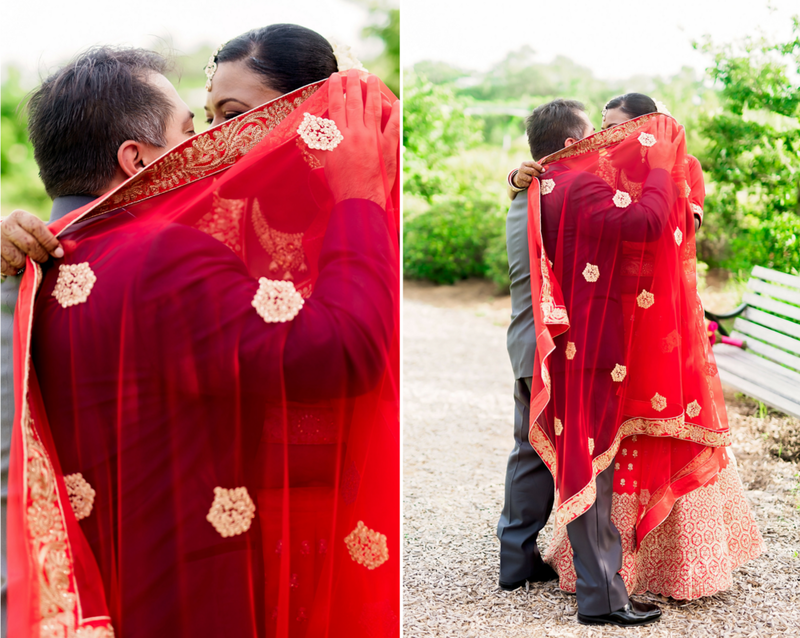 The bouquet was wrapped in red and accented her red ensemble effortlessly. Her bridal bouquet coordinated with Martin’s boutonniere and the couple’s wedding outfits were stunning together. 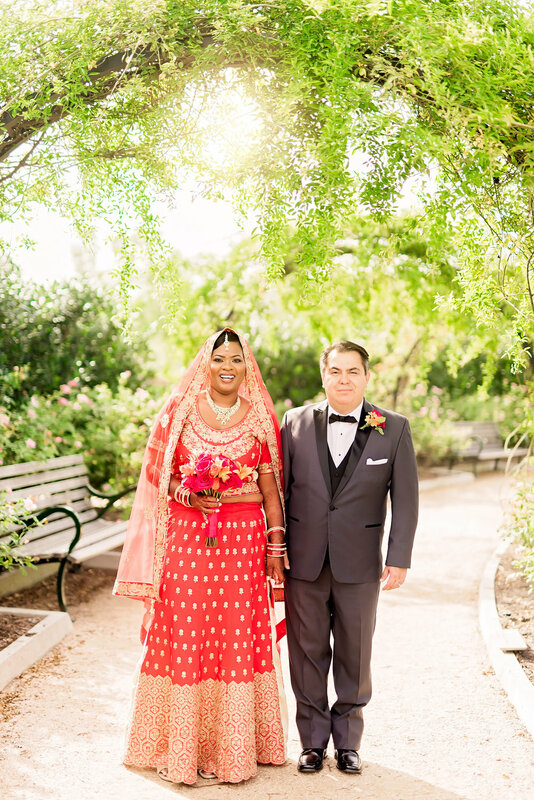 The newlyweds posed for photos on a walkway that had an archway that featured wrapped flowers and greenery. Susan and Martin were so natural to photograph and we had so much fun capturing memories from their special day for them. 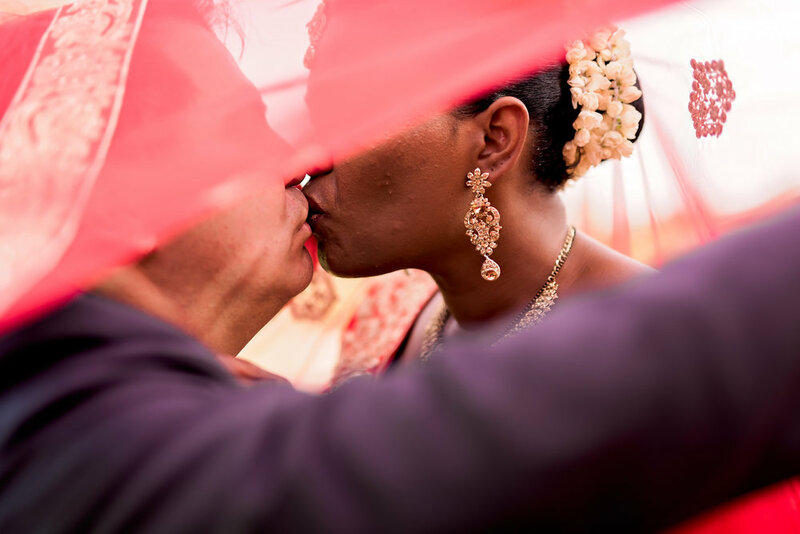 Kisses and tears were shared throughout Susan and Martin’s wedding day and we are so glad that we got to be a part of it and share in their joy as they became newlyweds. So many memories were made and we know for certain that this was a day that Susan and Martin will never forget.